Swiftkey launched a new toolbar interface just a couple weeks back, and it's adding a few more features to it today. With the latest update, you can easily insert your current location as well as calendar appointments. SwiftKey promised both these features previously, and here they are. The toolbar sits right above your keyboard for quick access to features like the clipboard, stickers, settings, and more. The addition of two more icons might make the toolbar a bit cluttered, but it's not shown by default. You need to tap a button in the prediction bar to expand it. Adding a location is a snap. 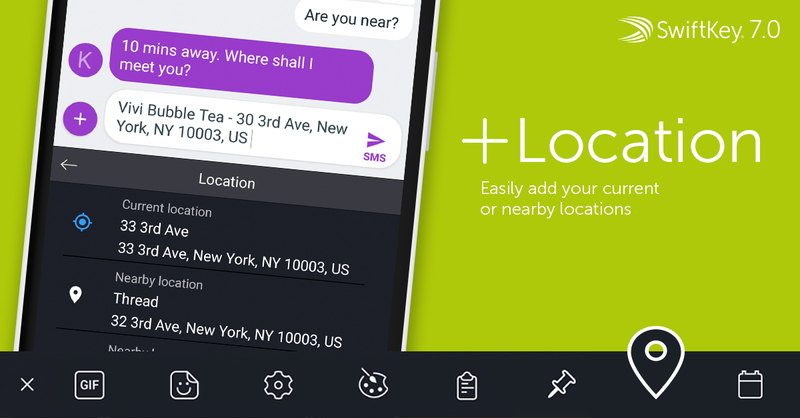 Just tap the location button and SwiftKey will insert your current address. You can choose from various nearby locations, too. 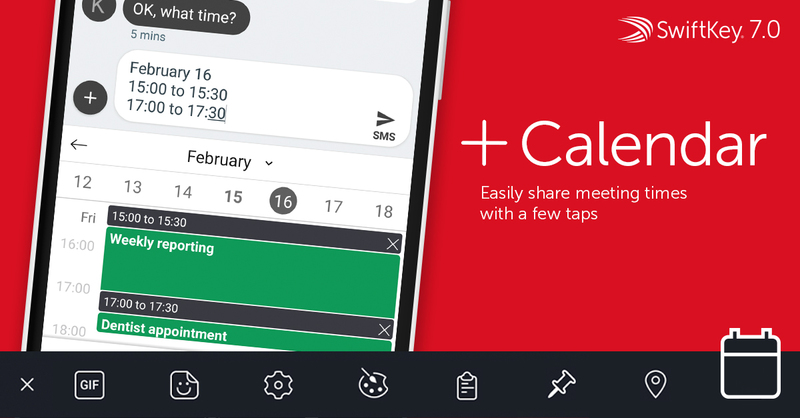 The calendar button lets you choose an appointment from an agenda UI inside SwiftKey. When you find the event you want to share, you can drop the details instantly into a text field. SwiftKey's blog post says the new options are live today, but an update has not appeared in the Play Store as of yet. Both these features are limited to the US and India for now. SwiftKey has updated its blog post with a correction—the calendar feature is actually available worldwide. The location feature is only in the US and India for now.